SeptemberKathryn A. McMahon was born in Canada. She is a citizen of the U.S. and a dual citizen of Canada. Kathryn has traveled all over the world and always brings sketching or painting materials with her. Her collectors are from Canada, Europe, China and many of the U.S. States. 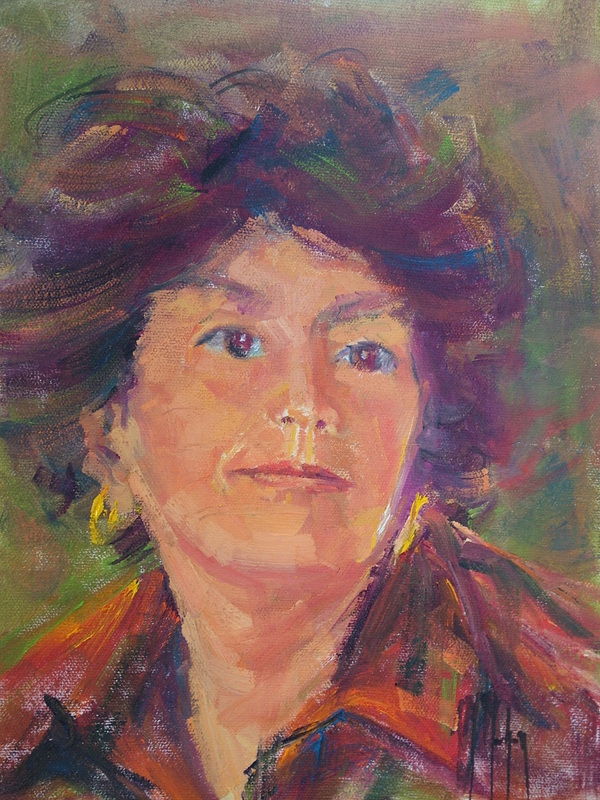 In 2008 while on a 10 day Mediterranean Cruise she painted 16 paintings from many countries. On the cruise she wrote her second book, Plein Air Painting, Quick and Helpful Tips." Kathryn is always prepared when traveling and does a lot of research to which easels and boxes to bring on that particular trip. She also does preparation for her local weekly plein air outings. 2018 Montgomery Museum Art Auction Montgomery AL. ​2017 Copley Society of Art Boston 'Autumn Aura Show' Sept-Oct. Studied with John Traynor of VT., Ray Vinella,Taos NM., Quang Ho, Kevin Weckbach, Doug Dawson of Denver, CO. Ned Mueller of Washington State and Max Ferry Grass Valley, CA. Painted in the International Plein Air Painters in Niagara Falls, 2005, Canada. presented with the "Founders Award"
2007 Hilligoss Gallery in Chicago with WAOW "Award"
Selected in 2003 by Oil Painters of America[OPA] Regional Exhibition in Waterhouse Gallery, Santa Barbara,CA. Winner of the Winsor & Newton Award in the National Exhibition , 2000 Ft.Collins where 33 States Canada and France participated. Has been in many other National Exhibitions.